I see a fully suspended trike in my future. 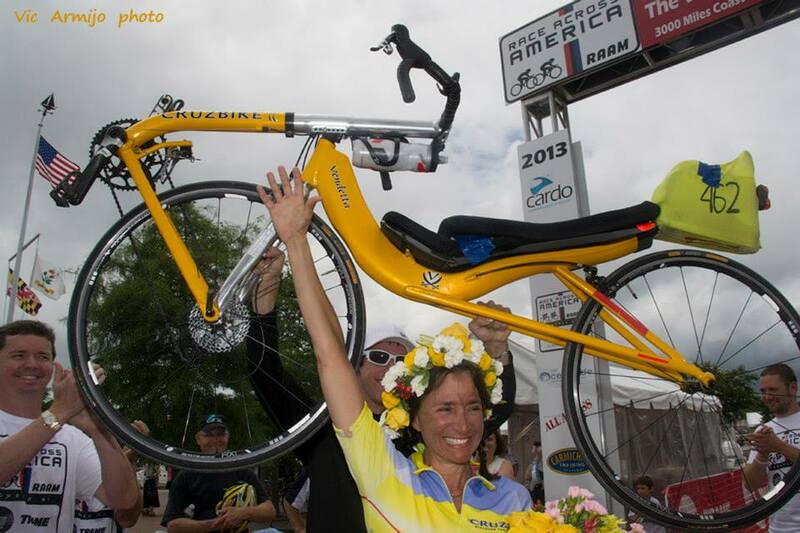 Will it be a Catrike? After purchasing six Catrikes over the last four years I may have to jump ship. I want a fully suspended trike and I'm looking at the HPV Scorpion. Before laying down $$$s I was wondering if Catrike has any plans for a fully suspended Expedition. I can wait if you have one on the drawing board. It’s great to hear you have been such a great supporter of our products over the years. Having an internal engineering as well as a research and development department we have many projects in the works and can do anything. The specifics of what they might be and any release time frame is something that I do not have. We encourage you to continue monitoring our website and social media for upcoming updates and releases. Hopefully we’ll keep growing the number of purchased Cats. Am I reading between the lines or just wishful thinking? Contact Catrike if you like the idea of a fully suspended Catrike. Doing a little juggling between tires to find the best ride for the Expedition. I went back to the Marathon Plus 20x1.75 (47/406) tires after opting for a little softer ride. After a couple rides I've decided the 47/406's are the best fit for the Expedition. There's no need to try and make the Expedition a little faster and sacrifice comfort when I have the 700 for those times when speed is a priority. Here's my original posts regarding the new tires. Original post from 9/9/12 regarding the Marathon Plus 20x1.75 (47/406) tires. Original post from 3/1/13 regarding the Marathon Plus 20x1.35 (35/406) tires. Well at least Carrie had coffee, I opted for a protein smoothie at JRA Bikes and Brew, the new bike and coffee shop in town. It's not a recumbent shop but they welcome riders from the dark side. Major road construction forced me to come up with some new routes around town. One new route is a 20 mile ride that ends up at JRA Bikes and Brew. As planned after finishing up at JRA's I rode the last 3 miles (400 foot gain) home in Carrie's car. The 20 mile ride to JRA's is a nice ride with a comfortable 1,300 foot gain. Without doing the uphill grind home I was able to average 15.8 mph. First Bryan Ball does a review of the HP Velotechnik Scorpion fs 26 on Brol and I try my best to tell myself I don't need this Cadillac of trikes. Eventually I put the idea of owning a Scorpion behind me but not out of mind. And then Bryan goes ahead and does this...publishes his review in Adventure Cycling Magazine. My Catrike Expedition has served me well but I want a fully suspended trike for cruising. I've hit enough pot holes, rough roads and road debris to say enough is enough, time for a little comfort. When my brain is in cruising mode I'm not looking for fast (I have my 700 for that). I also want to be able to ride gravel and dirt roads. I'll have a good chance to take a close look at the Scorpion at Recumbent Cycle-Con in November (if I can wait that long). Or visit Dana at Bent Up Cycles, he says he'll have a Scorpion 26 in the shop in a few weeks. The new Catrike hand rests are simple but very effective. Resting my hand on the soft pad of the hand rest is much more comfortable then on the metal handlebar. While I was looking for comfort I also discovered that these little rests helped with maintaining a light touch on the handlebar grips by allowing the lower part of the hand to help stabilize the handlebar. In Byran Ball's article in the Adventure Cyclist magazine Byran says, "I also hear a lot of talk about the dork factor" in regards to the perception of recumbents Let's take the word "dork", Wikipedia defines dork as "a slang word for a stupid or inept person." Stupid and inept defines Wikipedia so lets move on. I find that the Urban Dictionary defines "dork" quite well, "Someone who has odd interests, and is often silly at times." It goes on, "A dork is also someone who can be themselves and not care what anyone thinks." Bingo! I'm a dork! I'm not looking to blend in, I've spent to many stressful years trying to blend in and to be "normal" as defined by a "civilized" society and my ex wife. I drove the proper cars, wore the proper clothes and socialized with the proper people. Back in the early 1990"s that all changed with a divorce (the ex was enjoying her business trips a little to much) and meeting Carrie and eventually getting married, putting aside the expectations of others and living our own life. I know that just about everyone out on the road is looking at me ride my recumbent trike and they all have opinions guided by what is "normal." I'm enjoying my self to much to care about what is "normal." How many of the gawkers wish they could be riding along with me but are to busy trying to be "normal" and "fit in." I've seen folks, closer to my age, riding a traditional bike and looking absolutely miserable. How long can they keep that up, trying to fit in by riding a crotch rocket? 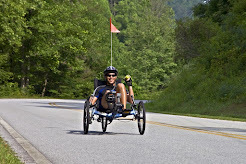 With some exception it seems to me that everything about riding a recumbent makes more sense for the average recreational cyclist then riding a traditional diamond frame bike. But what bicycle racers ride drives the market and racers ride what the UCI (International Cycling Union) tells them to ride thus the traditional diamond frame bicycle based on a UCI formula from the 1930's. Suffice it to say that dorks "someone who can be themselves and not care what anyone thinks" have more fun. We're not govern by someone else's standard. We're living life, we're living smart and we're living our way. Let the others play follow leader from pasture to pasture. 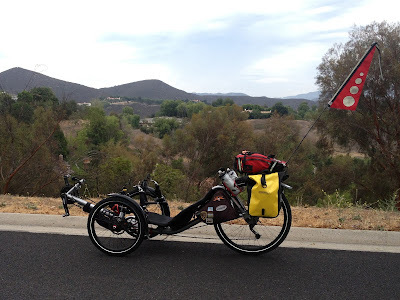 In the latest "recumbent" edition of Adventure Cyclist magazine Mark Colliton of Bacchetta bicycles said of recumbent trikes in relation to his recumbent bicycles "We're cyclists, not tricyclists." In my book there are bicyclists, tricyclists and a few quadcyclists but we're all "cyclists". 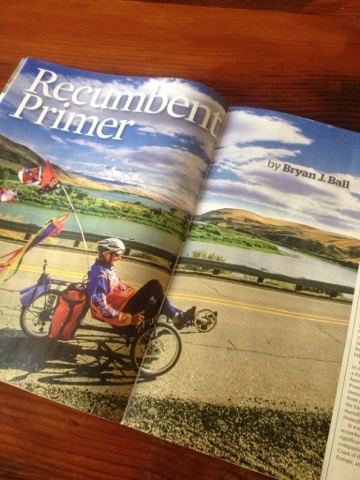 In the article Colliton acknowledges that he underestimated the growth of the recumbent trike market. 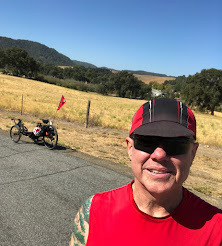 He then goes on to, what seems to me, disparage trike riders, "Here's the deal - baby boomers with time and money to come back to cycling are finding they just want to be able to ride and not think about it." He goes on, "They don't have to worry about balance or shifting. Most of them use internal hubs." 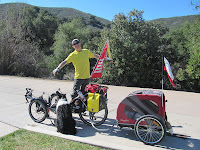 Colliton seems to talk down recumbent trikes in the same manner some traditional cyclists talk down all recumbent cycles. 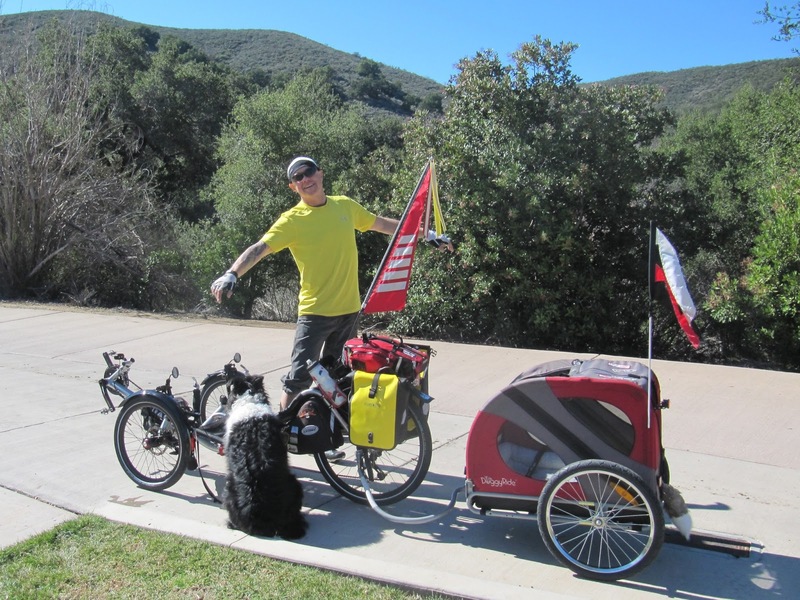 Read the article in Adventure Cycling Magazine and decide for yourself if Mark Colliton of Bacchetta bicycles is less then enthusiastic about trikes. I got some time on my hands so I'm going to hop on my expensive trike and not think about being on the road with 3000 pound cars buzzing by or worry about leaning into a tight downhill turn at 45 miles an hour. Where's my internal hub!!?? 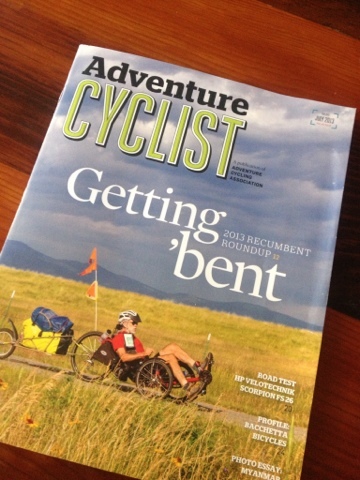 It's that time of year, the Adventure Cycling Magazine recumbent edition. 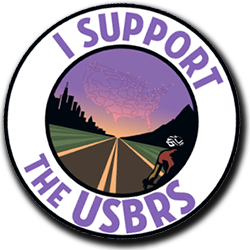 Bryan Ball's (bentrideronline.com guru) contribution, a must read for any cyclist who is thinking of getting bent.